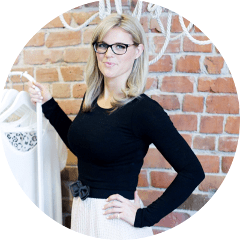 Personal Shopper – You Can Be A Stylish Mom To! Mabelle Style has often received special requests and email inquiries from new mom’s who mention that their bodies have changed in shape or size. Some women feel they have lost sight of what their new style should be or look like. Recently, one of our clients had brought his wife along with him while we did his personal shop. At the time, she was 7 months pregnant but had thoroughly enjoyed the experience. During this time, she mentioned that she wanted to set a goal for herself to get back to her pre-pregnancy size after the baby arrived and then would follow through with the same services Mabelle Style has provided for her husband. This past fall we received a call and booked a wardrobe consult and personal shop for this Mom-of-two. 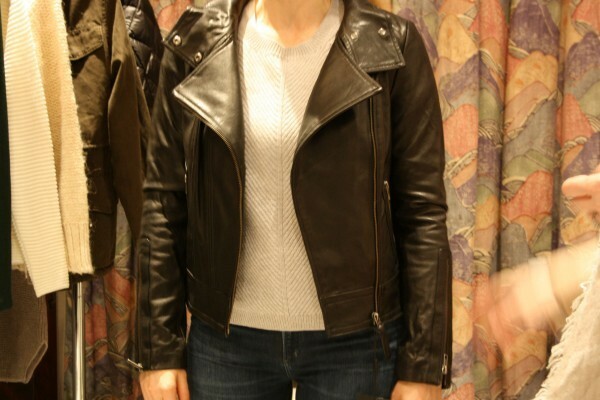 During this time, I found her a few great basics for everyday, a leather jacket that really gave her outfits some edge for the go-to comfortable style and a selection of stretchy skinny jeans. The blazers & leather jacket were the perfect updates for layering with t’s and cute graphics. Check out some pictures captured during her personal shop!